This Ranch Style Western Bedding Set features a generously over-filled comforter accented with bold embroidered strands of Barbwire. Over-sized for Pillow Top. Soft dark chocolate distressed faux leather contrasted with a dark tan faux-suede. This Ranch Style Western Bedding Set features a generously over-filled comforter accented with bold embroidered strands of Ranch Barbwire. Over-sized for Pillow Top. 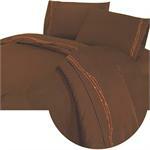 Soft dark tan faux-suede contrasted with a chocolate distressed faux leather Bed Skirt. 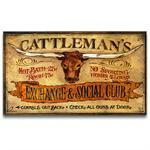 Baby Faux Calhoun Western Baby Crib Bedding Set. 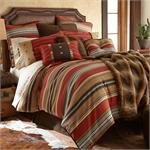 Vibrant southwestern color stripes on this western bedding set perfectly blended cross western southwestern accents. 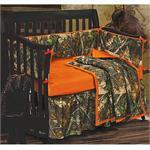 Baby Calhoun Crib Bedding. 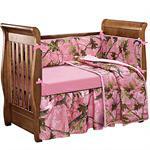 3pc set includes: quilt, bedskirt, and bumper. 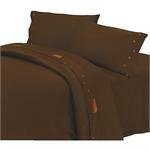 New Fall Transitional Bedding Collection Line Up Now Available. Sets include Duvet, Dust Ruffle, and Pillow Sham(s). Twin size includes only (1) sham. Red faux tooled leather comforter set with distressed faux leather bed skirt, sham(s) and accent pillows. Red contrasted with turquoise. Western style with distressed faux leather strips with silver-toned brads running down the top sides. Turquoise faux tooled leather comforter set with distressed faux leather bed skirt, sham(s) and accent pillows. Turquoise contrasted with red. Western style with distressed faux leather strips with silver-toned brads running down the top sides. 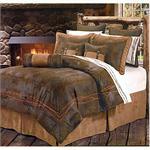 Crestwood is a new rustic bedding style to the market. This comforter set is done in rustic style Cowboy or Pinecone with coordinated materials of tweed, micro-suede, and faux distressed leather. 5 pcs Super King, Super Queen, and Full, 4 pcs Twin. 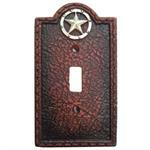 El Dorado reversible rustic chocolate(top side)and dark tan(reverse) both sides feature western tooled design. 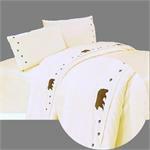 This set is accented with faux fur cowhide and buckles. 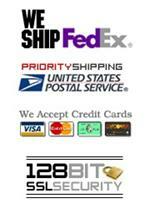 Sets include Comforter, Dust Ruffle, Pillow Sham(s), and Neckroll Pillow. The Hamilton 4 piece set is a sleek look for this black and white woven collection: a classic look of luxury with simple, clean lines, and rope and zipper detailing. Add a splash of color for fun with a red pillow or throw. 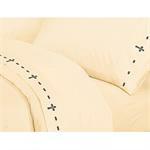 This set features a generously over-filled comforter, bed skirt, and pillow sham(s) (Twin size only (1) pillow sham. Machine Washable.